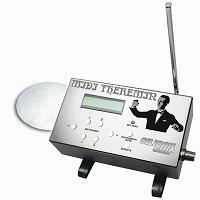 Jaycar Electronics is now offering a MIDI theremin kit. This model doesn't actually produce a theremin tone, but rather relies on a MIDI-capable sound source. I suspect this might be more useful as a gestural controller than as a traditional theremin, but it looks like a fun project!